HURRICANE – Most real estate developments pass without much discussion in the Hurricane City Council meetings, but once in a while there are a few that cause some strife among neighbors. Currently, that development is Copper Rock, a proposed approximate 900-acre mixed-use development that would include a golf course adjacent to the Cliff Dwellers subdivision and north of Sky Ranch at the southern edge of Hurricane. Originally approved 15 years ago, the project never moved forward because of the economic downturn, but today the developers are trying to get the ball rolling so their vision can come to fruition. But, they’ve hit some snags. 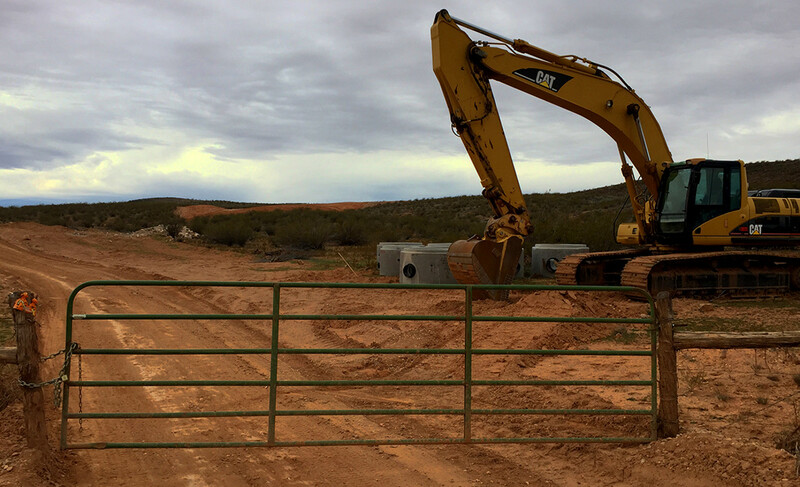 First among those snags was a stop work order from Washington County issued on Nov. 9, 2016, because, according to the county, the project proposal exceeded its scope originally approved in 2002. For instance, the current plan shows a golf course reduced from 27 holes to 18 holes and approximately 108 acres smaller than the original. But it also includes the addition of 483 more single family houses (1,100 to 1,583) and the addition of 127 multi-family units (500 to 627), according to County Commission report documents. Copper Rock Properties LC appealed the decision, but it was upheld during the County Commission’s Feb. 7 meeting. Now, the development has applied for annexation into Hurricane City, seeing it as the best course of action to ensure the project’s viability. The Washington County Boundary Commission will meet in a hearing Thursday to hear complaints of concerned parties over the development and its annexation. 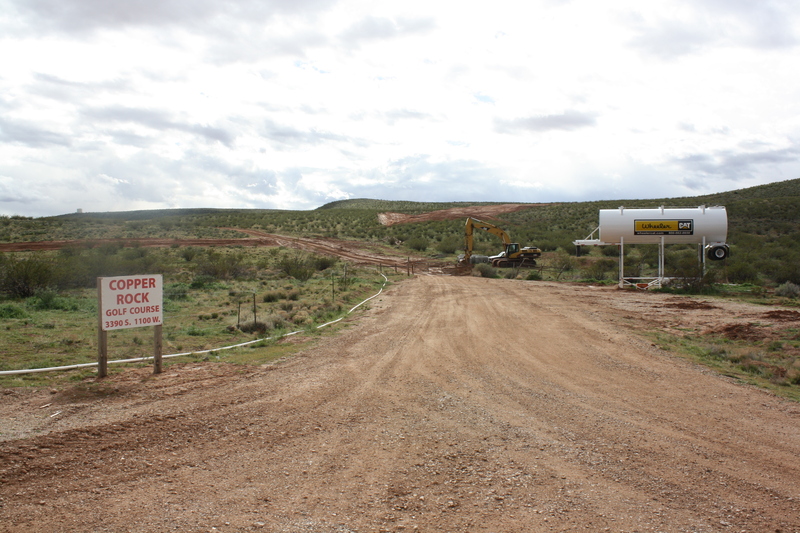 “The Copper Rock property is already surrounded on all sides by Hurricane City, so annexation is inevitable,” said Matthew Hess, an attorney at Armstrong Law Offices in Salt Lake City that has provided legal counsel for the development. The county even made it clear that once a couple hundred homes were built within the development, it would require the property’s annexation into Hurricane, Hess said, explaining. “(The County) didn’t think they wanted to provide all the services a development like ours would require long term as it built out,” Copper Rock Manager Gordon Zitting said. “The city is simply better suited to providing municipal services to large developments than the county,” Hess said. Another advantage, Zitting said, is the development will expand the city’s tax base. Hess said he disagrees with the county’s decision to stop work on the development. “But rather than spend time and money fighting about it in court,” Hess said, “Copper Rock elected to simply accelerate the timetable on annexation into Hurricane City,” adding that Copper Rock hopes the primary advantage of annexation into Hurricane is getting the golf course completed and grown in this year. Copper Rock principles also hope that Hurricane City will enter into a master development agreement that gives Copper Rock a roadmap for what it can and cannot do with its development in the future, Hess said. For all the advantages of annexation into Hurricane, there is one major drawback. Annexation will subject the development to Hurricane City’s impact fees, which Hess said are high and will ultimately cost Copper Rock over a million dollars more than proceeding with development in the county. “Those impact fees represent tens of millions of dollars that are received by the city and the Water Conservancy District in the county,” Zitting said. So far throughout the annexation process, both Hess and Zitting said Hurricane’s staff and elected officials have been open-minded and professional. 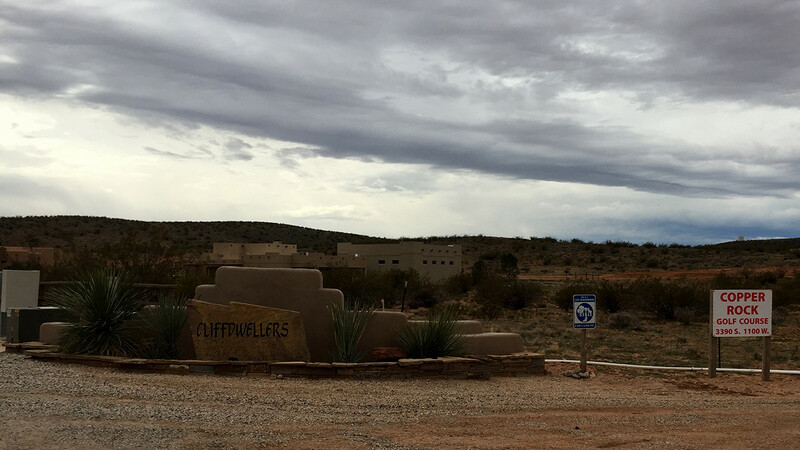 Copper Rock has been hearing the normal not-in-my-backyard complaints, especially from residents of Cliff Dwellers, the development directly adjacent to it. Hess said he can understand their concerns. Some say it will ruin their views and have voiced displeasure over a golf course in the vicinity, Bramall said. Another concern is the effect the development will have on the night sky. “Many of the neighboring homes have a dark sky covenant that applies to their subdivisions (and residents) are justifiably concerned that Copper Rock will impose light pollution on their neighborhood,” Hess said. In response to this concern, Copper Rock proposed a dark sky provision in its master development agreement with Hurricane City but police, fire and other public safety concerns prompted city staff to deny Copper Rock’s proposal to eliminate street lights. 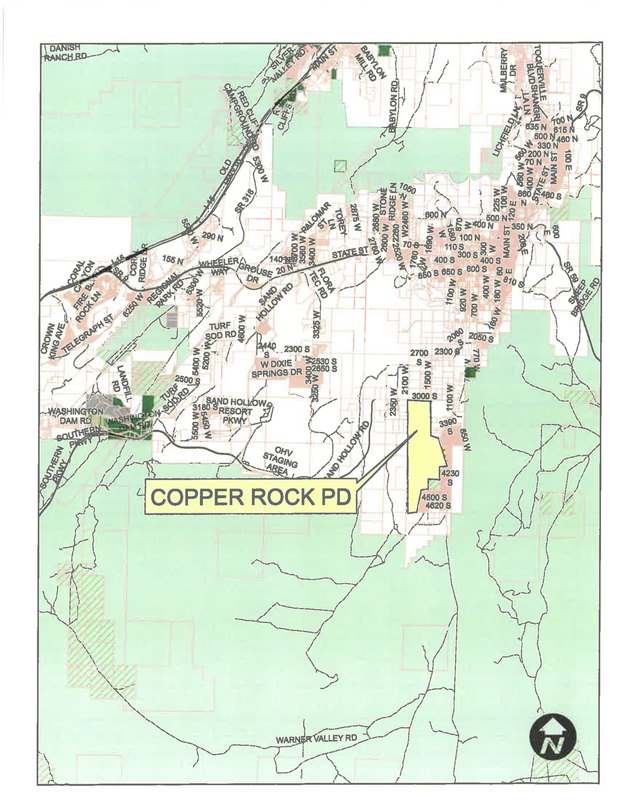 Despite these concerns, Copper Rock will continue to propose light-mitigation measures for its development, Hess said, citing Flagstaff, Arizona, as a community that has successfully implemented low-light ordinances. “The neighbors would like to maintain a dark skies policy, which we will try to respect as much as the law will allow,” Zitting said. “We have agreed to build light restrictions into our (covenants, conditions and restrictions) for our buildings as much as practical and safe. Thomas noted that some are concerned over the density of the development. Overall, however, Thomas said he and the City Council wants the development to succeed. Bramall echoed Thomas’s sentiment, saying that he and the city are supportive of people developing their property if they take into account the concerns of those around them. Despite the concerns, the development shouldn’t come as a shock to nearby residents. As Hess explained, Washington County approved the development 15 years ago. Copper Rock developers see the golf course as its heart – both geographically and economically. The owners believe that, if done right, the golf course will draw folks to want to own a home or condo in the neighborhood, Hess said. Guarding against economic doldrums, the Copper Rock owners have mitigated the risk of the golf course failing by avoiding bank debt and committing the resources to carry the course through downtimes, Hess said. “The owners hold no illusion that the Copper Rock Golf Course will be a cash cow anytime soon,” he added. Bramall said most likely only 25 homes will be built per year in the development, with varying lot sizes up to 2.5 acres. If the County Boundary Commission approves it then it will be on the agenda of a City Council Meeting in April, the mayor said, after which there will be a 30-day public comment period before it can be formally approved. Let’s hope that the Hurricane City folks protect the interests of existing residents, and make sure Copper Rock pays its way. Special Service Districts have been used effectively all over Utah to make sure the disproportionate burden of providing services are allocated fairly. Glad these guys have a 40 year timeframe. Cookie-cutter Dixie Springs is well into its second decade, and masterplanned Elim Valley is still 99.5% undeveloped. It does seem that we have had our share of “pie in the sky” promises by developers. On the face of it, this sounds pretty reasonable, and unlike Elim Valley which is badly affected by the smell of the sewer ponds. I never did figure out what the folks in the Elim Valley development were thinking. And then there were the hospitals! (2) competing for approval of the city. I don’t see any hospitals out there…..